Cabin Fervor: "Building a house inside of a house"
"Building a house inside of a house"
The carpenters ran sister trusses alongside the originals to add much-needed support for our new roof. S then repurposed the old attic joists to add horizontal support. 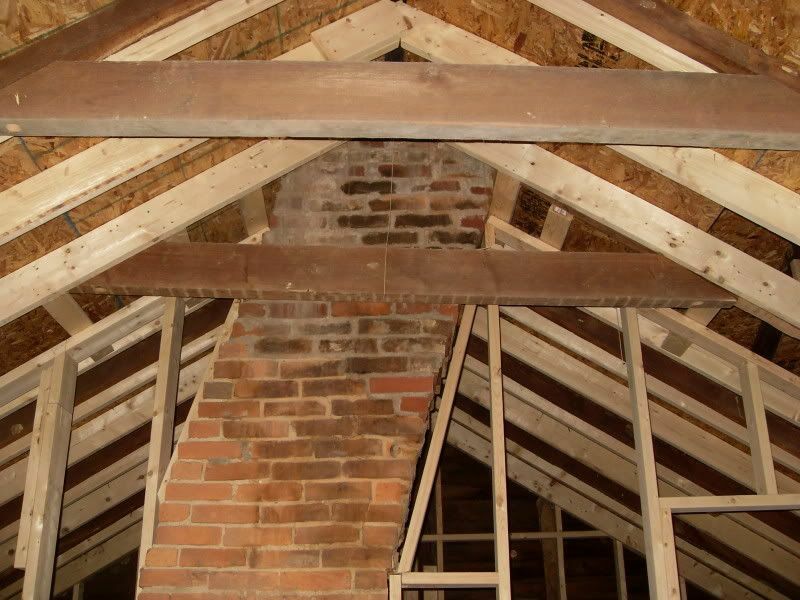 The ceiling will hide the new sister trusses but leave the lovely horizontal joists exposed. Below is a view from the bedroom, looking into bathroom. (The chimney will be visible on both sides once the center wall is closed up.) You can see in the background that the gable end has been reinforced with new framing for support and so we can insulate the bathroom. 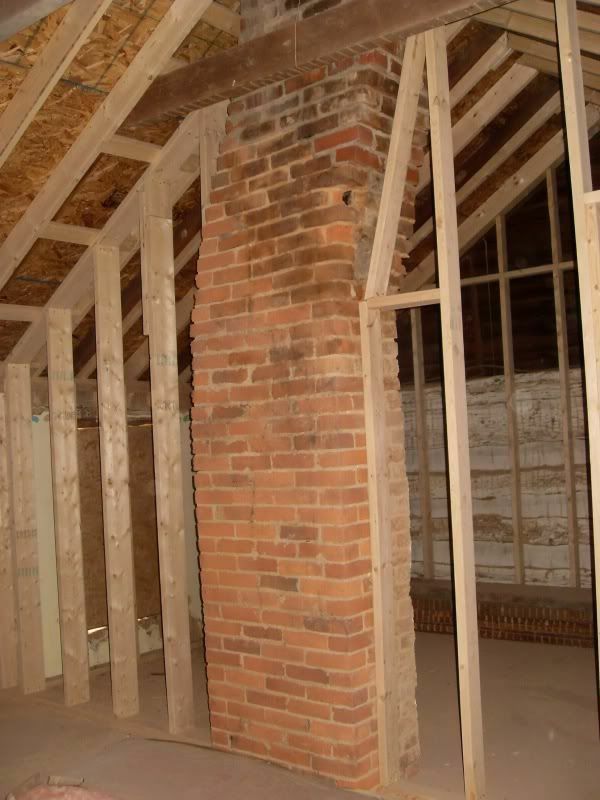 Logs provide great insulation, but they are only built up to where the roof starts to pitch. Below is our dreaded waste of space. Standing in the closet/laundry room and looking into the bedroom, you can see how the roof lines and load-bearing supports have forced us to enclose a small triangular area of dead space. I had the idea of putting a little door in it and using it for storage, but then everything would roll out on your head when you opened it because of the slant. Oh well. What you can't see here is how the floors were completely torn out and replaced with all new joists and subflooring. A sad loss of the original floors, but if we hadn't replaced them, all of our stuff would've slid into one corner if it didn't fall through before it got there. In other news, we're taking a break this weekend and heading up to our old stomping grounds in Providence and Boston to see some friends, so we probably won't have many updates in the near future. At least we know that, thanks to all of this intense framing and reinforcing, the house will (most likely) still be standing when we get back. That's pretty cool. It takes a lot to build and remodel.